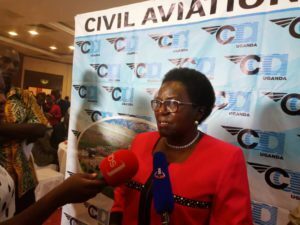 KAMPALA – The Civil Aviation Authority (CAA) has announced a new five-year strategic plan which outlines steps to match current trends and address new aspirations in view of the fast changing global trends. 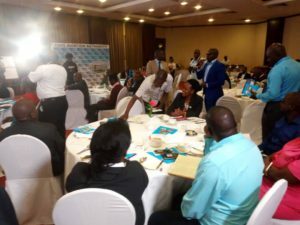 This was revealed by the Aviation Managing Director Dr David Mpango Kakuba during a stakeholders’ breakfast meeting at Serena Conference Centre in Kampala on Thursday, December 6. Kakuba also briefed stakeholders on the status of the aviation industry in Uganda as the country celebrated the International Aviation Week. Other activities include sponsoring a number of sporting events such as Uganda Senior Golf Open, Rwabushenyi Memorial Chess Championship and a netball gala in Entebbe, Wakiso District. Kakuba said the Week is celebrated internationally every year between December 1 and 7 to commemorate the memorable week of meetings that led to the signing of the famous Chicago Convention. He said that CAA attaches a lot of importance on regulation of air transport and that the aviation strives to see that every operator adheres to international standards. In her part, Works and Transport minister Monica Ntege Azuba who was also the Guest of Honour, said government is committed to supporting the aviation sector.